Helping all people to develop, strengthen and grow in their faith, reliance and trust in God. When you believe God for radical things, He will do radical things. Through the works of the Holy Spirit we expect people to leave with a renewed level of trust and faith in God. We expect divine healings and miracles to be manifested and we believe that a move of the Holy Spirit will be present in the worship experience. Rev. Curtis Green came into his own salvation when he moved to South Jersey and started to attend a Church that spoke to his spirit. At that point he had a personal encounter with the Holy Spirit, who spoke to him revealing his call to ministry. Rev. Green comes from a line of ministers, his mother uncle and cousin were also Pastors. Rev. Green is a veteran of the US Army Reserve, husband to Lady Tia of 23 years and father to his three children, Alan, Chance and Faith, He is a former educator of eighteen years. Working as a college professor, High School administrator and classroom teacher. He and his wife are the owners of AFC Gaming Center, a retail video gaming lounge in Medford, NJ. Rev. 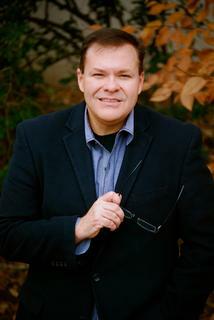 Green hold a bachelor's degree in Communication Arts for Thomas Edison University, he also has three master's degrees including Practical Theology from Southwestern Assemblies of God University. Rev. 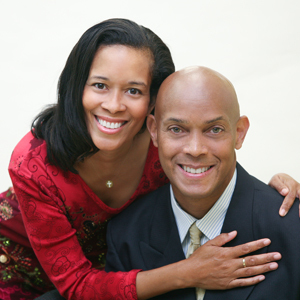 Green is a licensed minister with the Assemblies of God. He is a former Chaplain with the Mount Laurel police department and is the former Lead Pastor of No Borders Church. I believe that the local church is the cornerstone of the community. It is the very reflection of the Christian community. People look to the local church (first) when they are in need. People that attend church or not, have an expectation of the church to come through with various outreach ministries. And we need to deliver. Throughout the years I have served in such roles as; drummer, trustee, director of video production, audio engineer, maintenance, assistant Pastor and Lead Pastor. Just wanting to be available for the Lord to use me at my local church. We, as the body of Christ are to serve the local church, so that the local church can serve our community. I believe the evangelist is just an instrument used by God to come along side the local church pastor and provide support and assistance to stir up greater faith in the believers, reach the non-believers and bring encouragement to the body of Christ. " “ The evangelist should, build, inspire and generate a greater love and expectation to see the Holy Spirit move in the lives of all people. My wife and I will be honored to come and minister at your church (regardless of size). You can check my itinerary at http://RevelationMinistriesNJ.org and find an invitation form there.